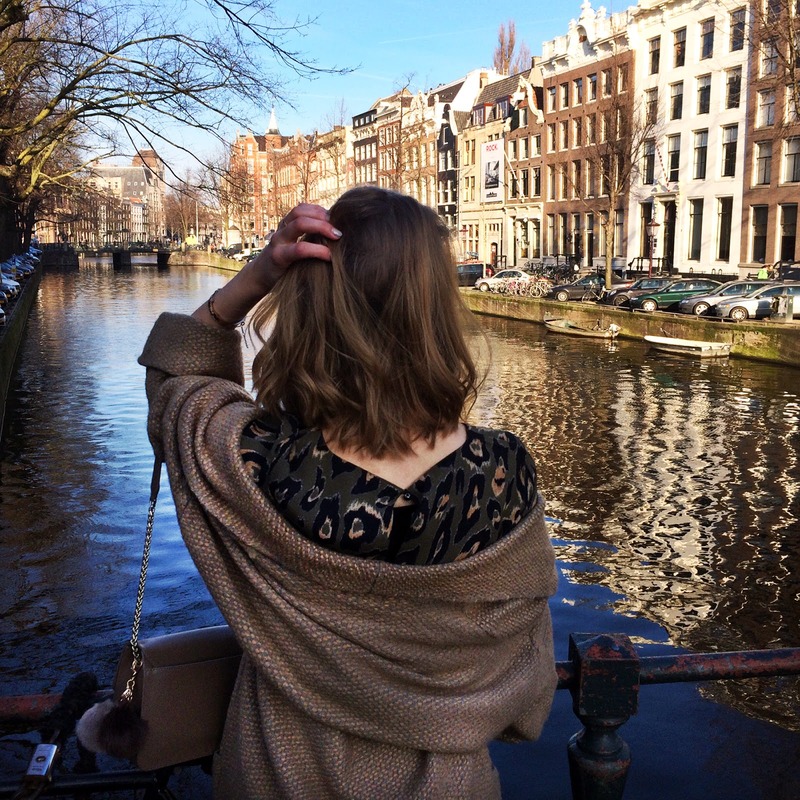 Hey sweeties, as promised in my last post, here's my little beginner's guide to Amsterdam that should at least fill one weekend in this city with many facets and endless things to explore. I have something for everyone: art lover, party animal and gourmand. 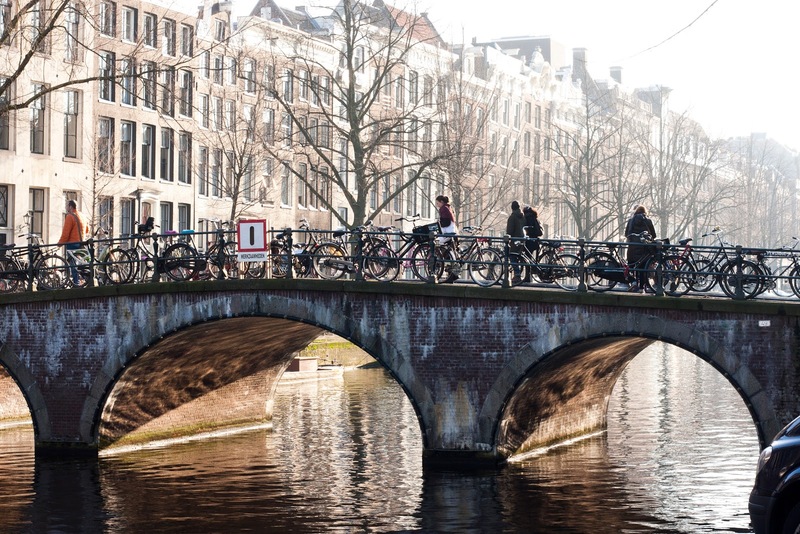 Canal Cruises are the classic in Amsterdam and really worth it. There's no better way to discover the unique architecture and layout of the city I believe. We booked a tour with Friendship Amsterdam which I can warmly recommend. They have open boats (hello Instagram photos!) with comfy cushions and blankets as well as all sorts of hot and cold drinks including cocktails. Can you imagine anything more fun? Our tour guide was really cool, too, and told us some historic facts and fun stories. The tour takes about 1 hour. In case you are a seeker for great views as I am you should check out the roof of Openbare Bibliotheek near Central station. It's completely free to go up there and the library itself is quite cool too. Unfortunately you're not in the middle of old town so the city is kind of in the distance (I'm exaggerating but it's not like New York where you are surrounded by buildings). Next to the library there's the Hilton hotel with a fantastic roof as well - similar view, 15 Euro cocktail. You decide. The Red Light District in Amsterdam is like nowhere else. It's not hidden away in some sketchy part of town but in the very city center and you don't get such a yucky feeling because I'd think most women there work in this job because they want to not because they are forced to or are dying of poverty. I also found it's not quite as aggressive as in Asia for example. Definitely interesting for a night! In this area there's also the Museum of Prostitution that I found quite impressive. You get a little glimpse inside this different world that you would normally never get. You can even sit in a window yourself for a minute if you want to...such a weird feeling. Particularly after a night out this is the food you should be craving. Friet Speciaal are delicious thickly cut fries traditionally served with mayonaise, ketchup and onions. 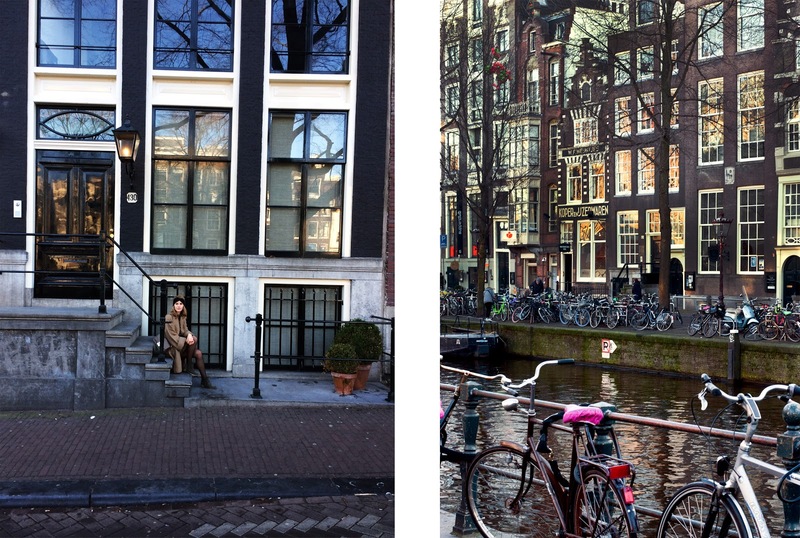 Amsterdam is a must for art lovers. There are so many fantastic art museums featuring the most famous painters of all times. The most popular museums are the Rijkmuseum, Van Gogh Museum, Stedelijk Museum, all located at the little park of Museumplein and the famous "I love Amtserdam" sign. The beautiful building of Rijkmuseum is an attraction on its own. Inside, the art collection shows most of the Dutch masters like Van Dyck, Rembrandt, Vermeer as well as international artists. The museum is usually very crowded so try to go on a weekday and buy your tickets in advance. At Van Gogh Museum you obviously learn about Vincent Van Gogh and his work. It's the largest collection of his painting, drawings and letters in the world, structured into five periods - The Netherlands, Paris, Arles, Saint-Remy, Auvers-sur-Oise. Stedelijk Museum is a museum of modern arts. The building has an old part and a new one opened in 2012 that actually looks like a bathtub. The collection shows many different disciplines (objects, installations, paintings, photography) and addresses varying topics. I gotta admit that I've never been to the Anne Frank House because every time I forget to book tickets in advance. You can book time slots online up to 2 months beforehand or show up after 15:30 and wait in a huge line. I've never had enough time to do that so it's still on my list. I imagine it to be unspectacular in terms of the house itself but when you think about that these are actually the rooms where they hid from the Nazis I bet you're blown away. 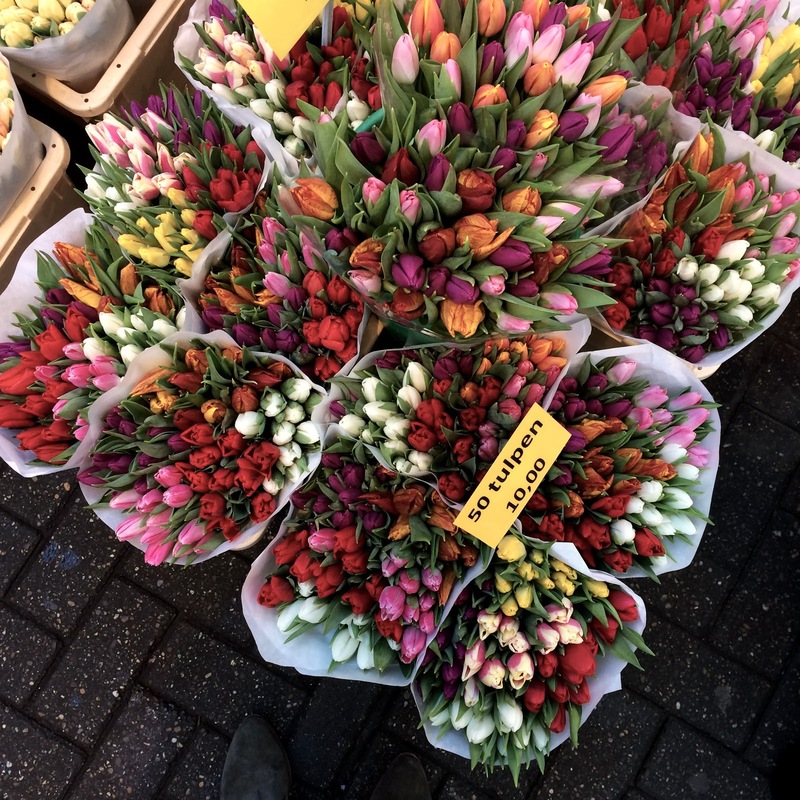 Amsterdam's flower market located on Singel Gracht is one of the major tourist spots...and that's kind of what it is, touristy. I doubt that any local buys bulbs or flowers there. IF you find flowers! I've been to Amsterdam in spring, too, and could hardly find any flowers. It's really mostly bulbs, so not what I, and probably many of you, expected. The stalls are set up on floats which is pretty special but on the other side of the little street you have several touristy looking delicacy and souvenir shops. It would most definitely be more fun to plan a little more time and take the short trip to the tulip fields outside the city. 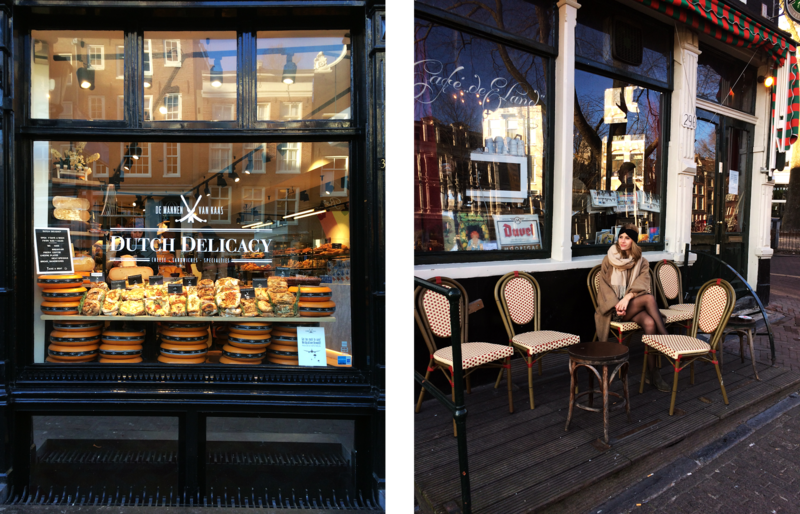 Most tourists find themselves in the red light district which is definitely fun but if you're seeking a more local experience you should check out the student quarter De Pijp. You'll find one bar next to the other so great for bar hopping. Just be prepared for Dutch music to be played at some point! There are lots and lots of cafés by the grachten (canals) and I haven't nearly tested them all but one I really liked is Greenwoods. 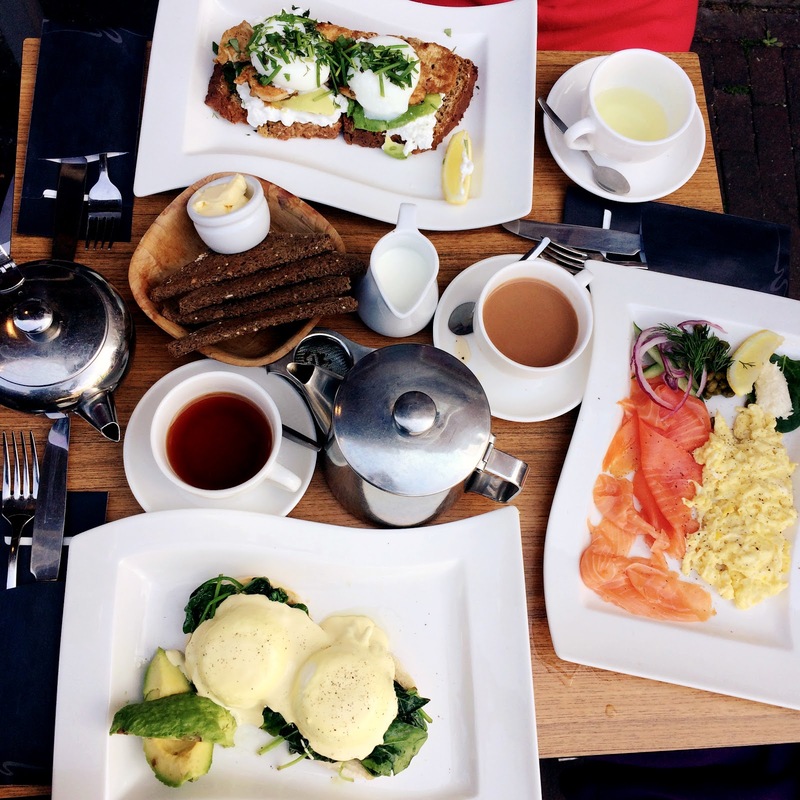 They have all the Eggs Benedict and avocado toasts you and Instagram love;) plus it wasn't busy when we came so we had a spot with great view on those typical Amsterdam houses and canals of course. one of our favorite cities. You don't get to be a beginner in the Netherlands nor Amsterdam. The Dutch won't let you!